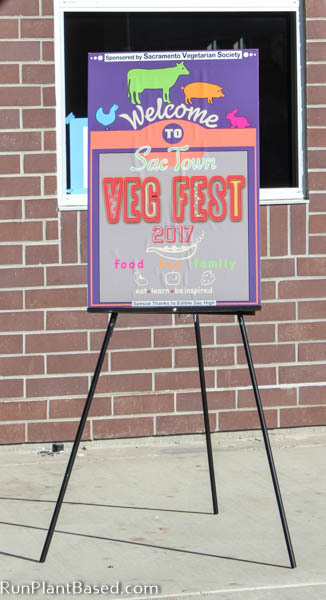 Saturday we had SacTown VegFest and for the second year of this event hosted by the Sacramento Vegetarian Society, it was huge! 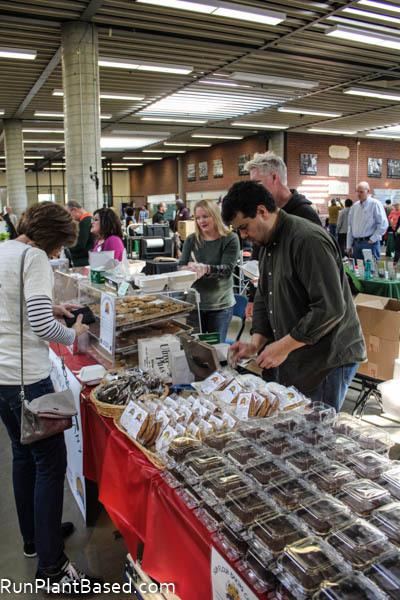 It grew a lot from last year and had to be held at a larger venue. I got there early to start getting pictures and enjoyed checking out all the booths and goodies before the huge crowds arrived. 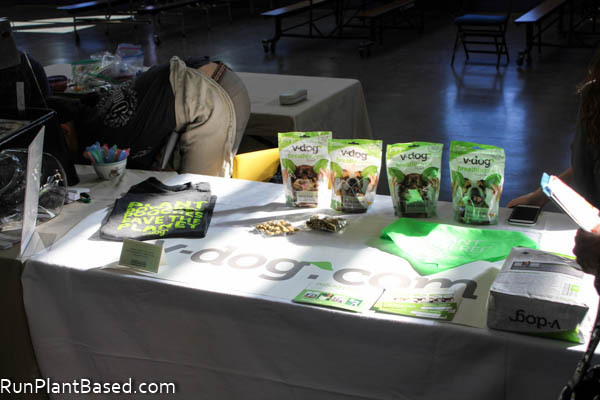 V-dog vegan dog food had a great setup with samples. My pups are digging their new smaller size kibble. 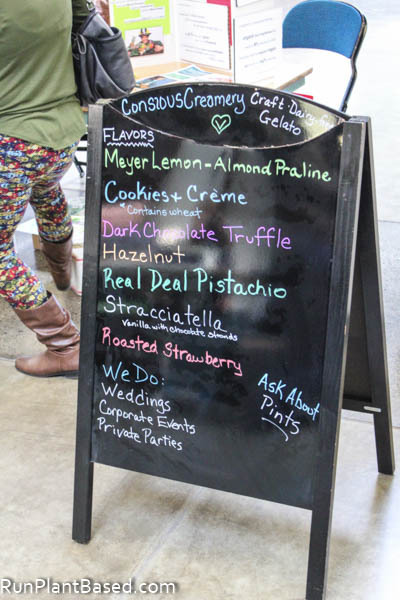 Conscious Creamery was there sampling and selling their amazing vegan gelato. Would you believe I didn’t get a chance to sample it?! I figured I’d swing back around after lunch and they were gone! I was so mad. 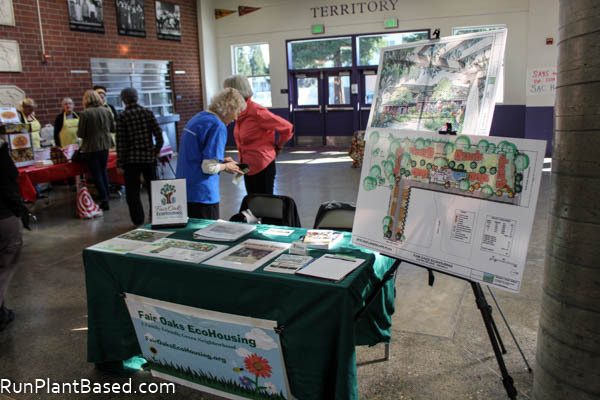 This Fair Oaks EcoHousing project looked pretty awesome too. 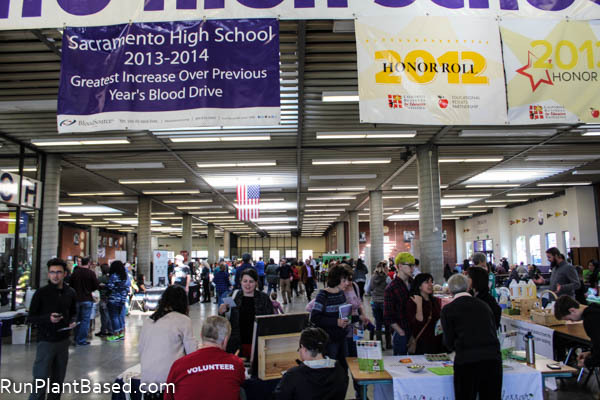 Edible Sac High had a great booth getting a lot of traffic. 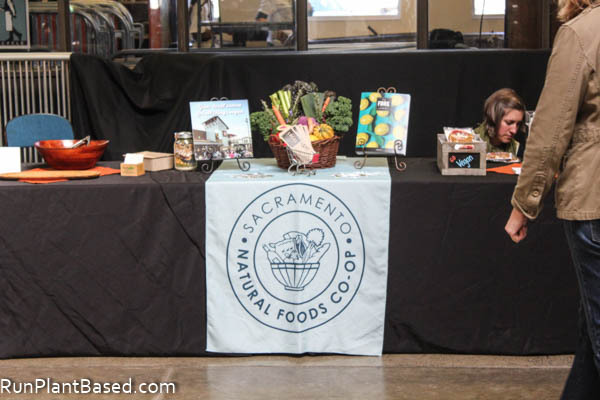 So did the Sacramento Natural Foods CO-OP with great samples, salad demonstrations, and coupons. 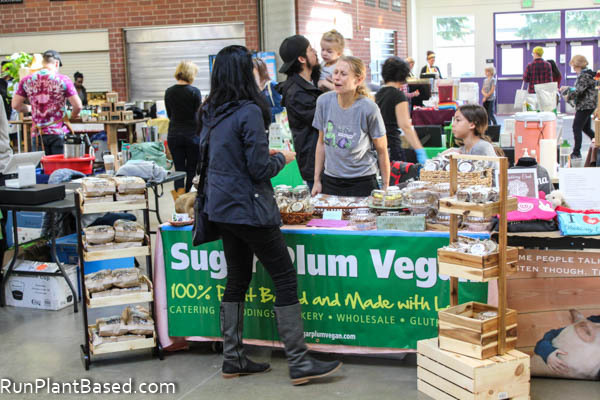 Everything at Sugar Plum Vegan looked amazing. 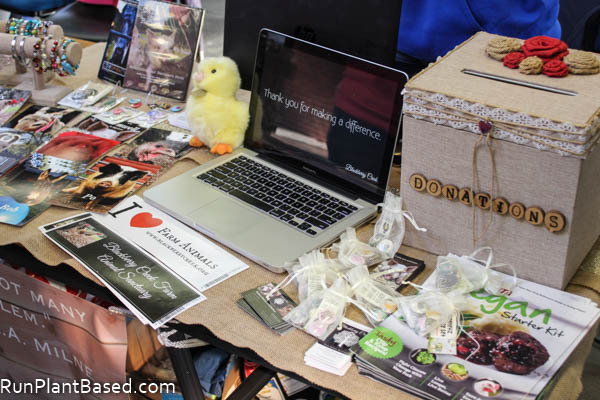 Blackberry Creek Farm Animal Sanctuary had a great table with cute jewelry and information. 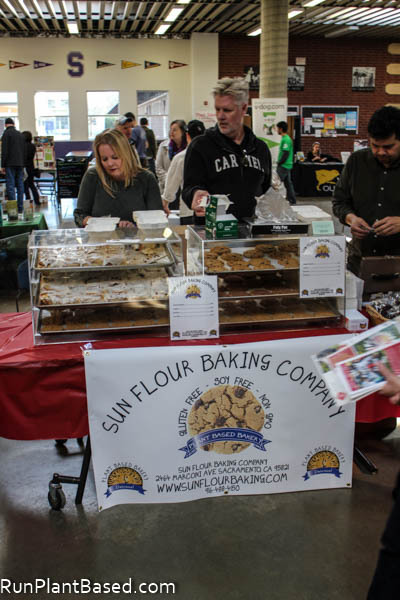 Sun Flour Baking Company also had an amazing table selling too much good stuff! 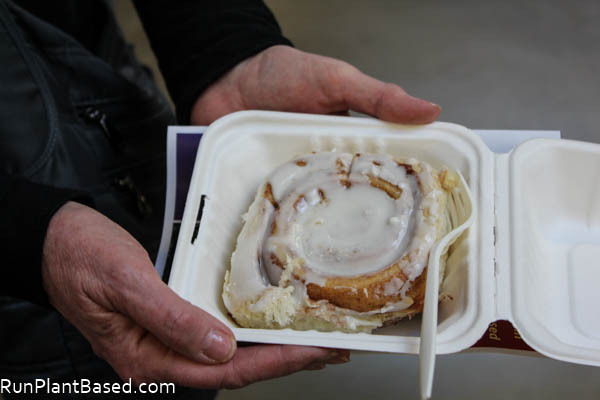 We caved and shared one of their cinnamon rolls and oh my! 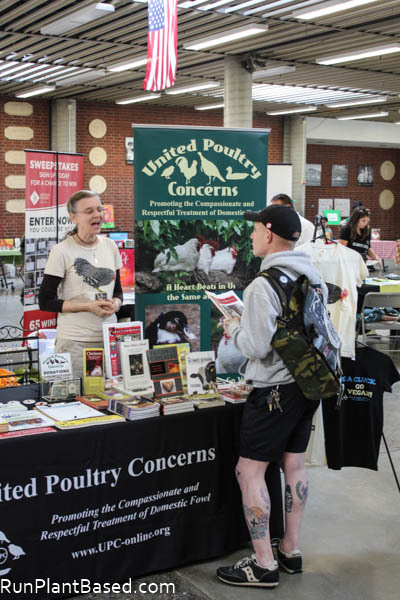 United Poultry Concerns was also there with great information. 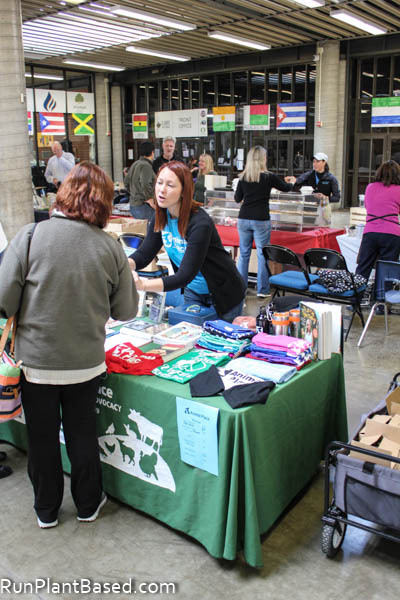 Animal Place was there too with cute shirts and positive literature. 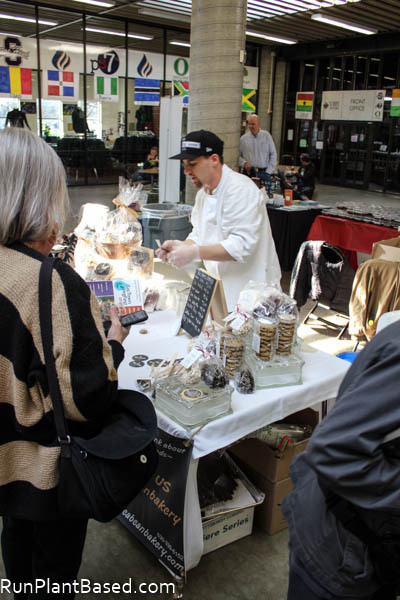 Tea Bean Bakery serving up more amazing treats. 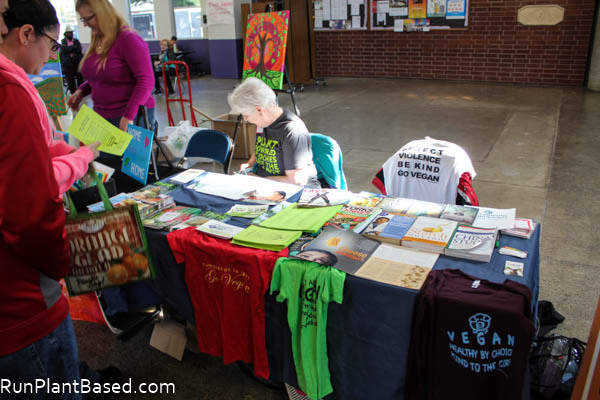 Sacramento Vegan Society had a great booth with cute shirts and information. Great art work by Jen Swift. And it was a huge event! 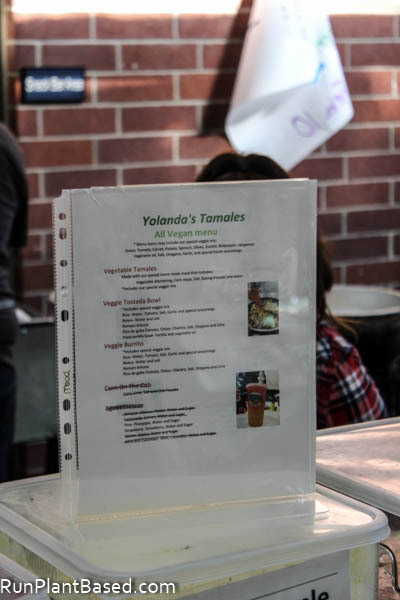 By the afternoon, parking was crazy packed and there were long lines for the food vendors. 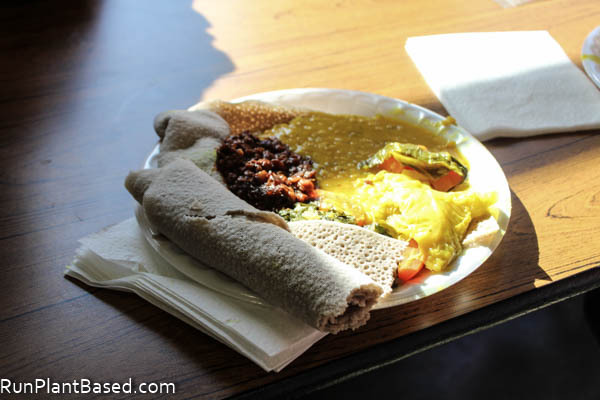 I did find more room for lunch after the cinnamon roll and had this lovely plate from Abyssinia Ethiopian Restaurant. Then came home with lots of goodies and more cute gym tops – what a great day of family, friends, food, information, and products. 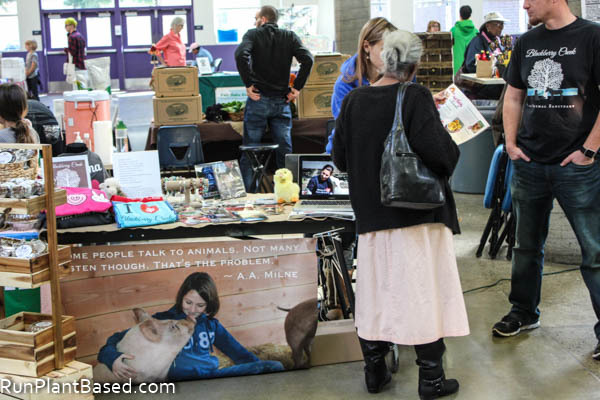 I could have easily spent hundreds of dollars and loved hanging out with local vegan friends. Already looking forward to next year! How amazing! 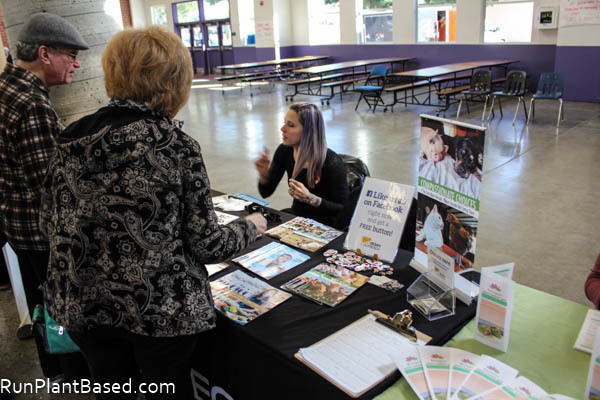 I’m sorry you missed out on gelato, but I think my fav is that the high school had a booth! I have three kids (2 adults now, one finishing up middle school), and their friends are always coming to dinner – and freaked out by the food (until the eat it). Most live off of fast food, boxed food, and wouldn’t know a fruit or vegetable if it bit them in the you-know-what. 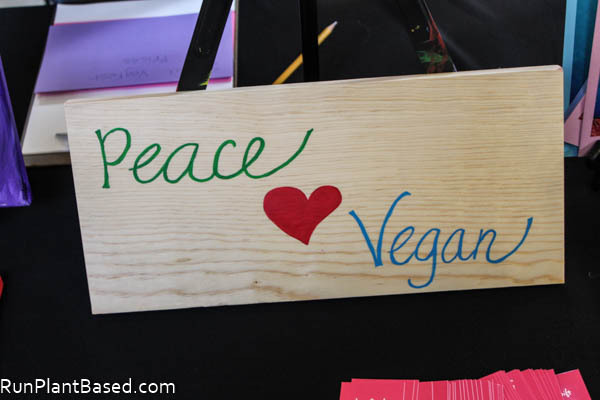 To see high school students not only taking a stand about animals, but about health, just warms my heart! So true, it’s so important to expose them young to healthful foods and there benefits. I get a little sad when I hear what co-workers are feeding their kids and watch my picky nieces and nephew turn their noses up at heathly foods. 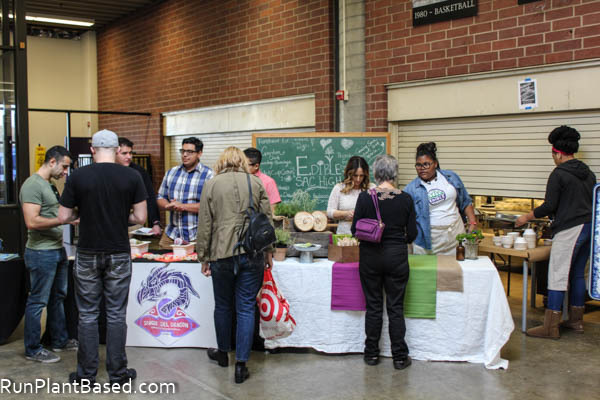 Haha, there were a lot of non-vegans there and vegan-curious and it’s getting easier and easier to be a “candy bar” vegan versus on a whole foods plant based diet sadly. Wish I could have been there! It all looks so amazing… I can’t believe I missed this great event. I wish you could have been too! It was, a lot of great people and food. 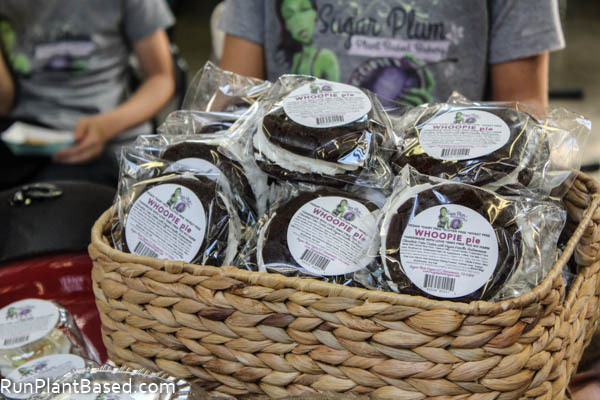 So fun on LA, there is so many great vegan options there!